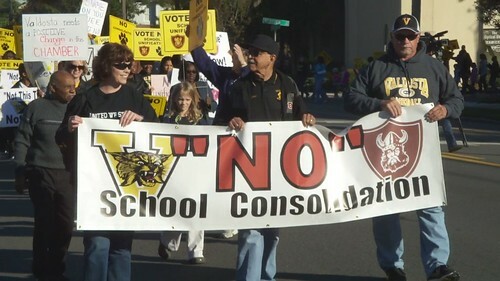 There was quite a bit of overlap between Marching to Occupy Valdosta and the Vote No March. 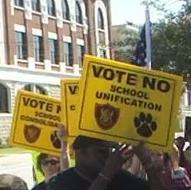 Gretchen's sign says Occupy the Voting Booth. 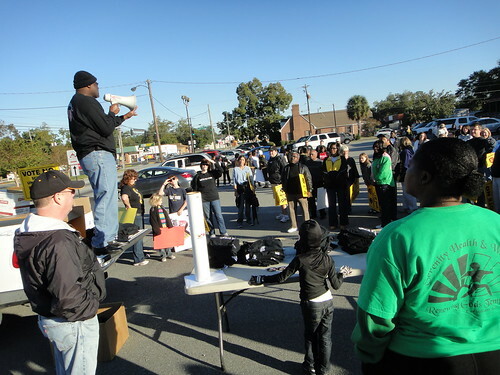 Here Amber, Bobbi Anne Hancock, LHS student Nathan Wilkins, and VSU professor Karen Noll all march together. 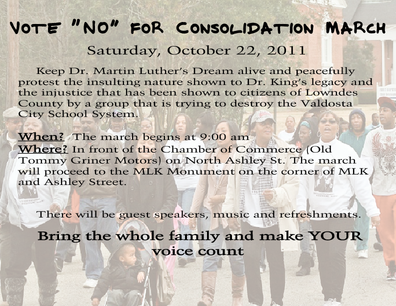 They all Marched to Occupy Valdosta. (Erin was in Atlanta, and Austin and others were out of town due to VSU's Fall Break.) Doubtless there were others; nobody tried to take a head count of the crossover. Here's a suggestion on what to do about that.